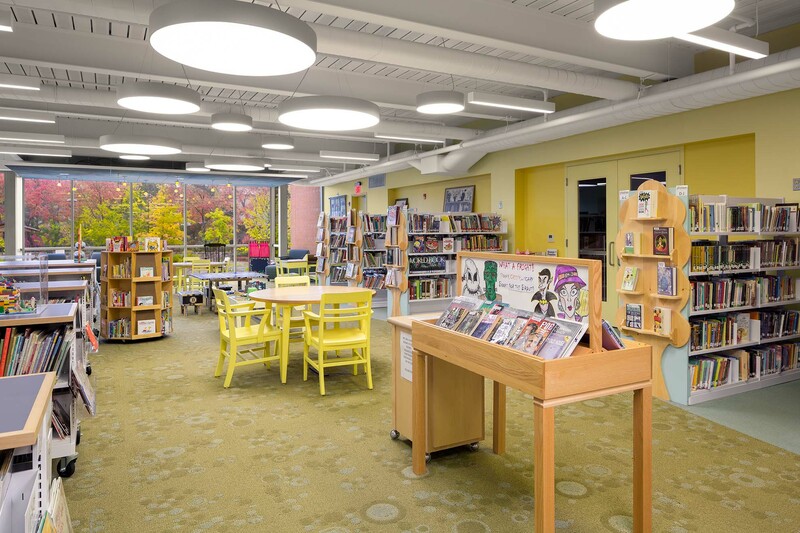 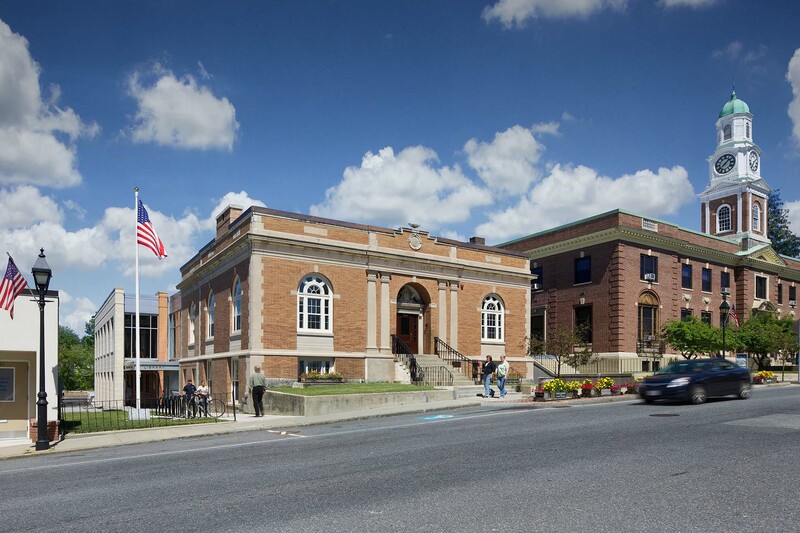 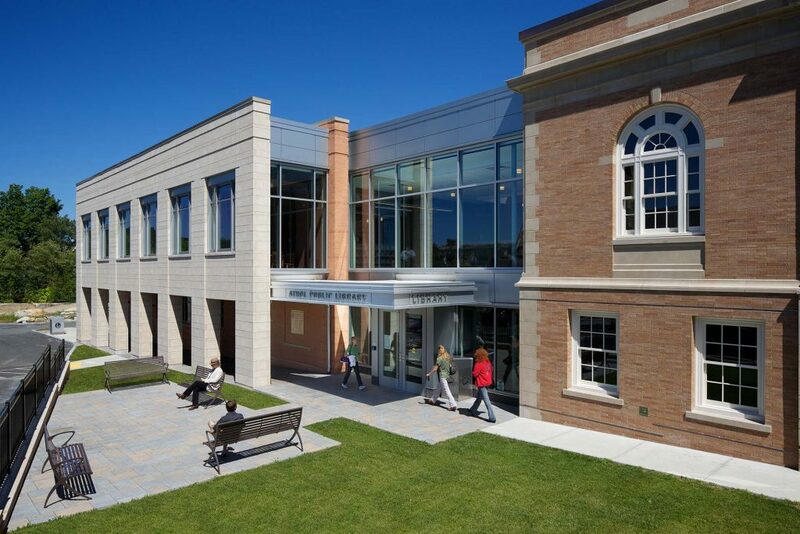 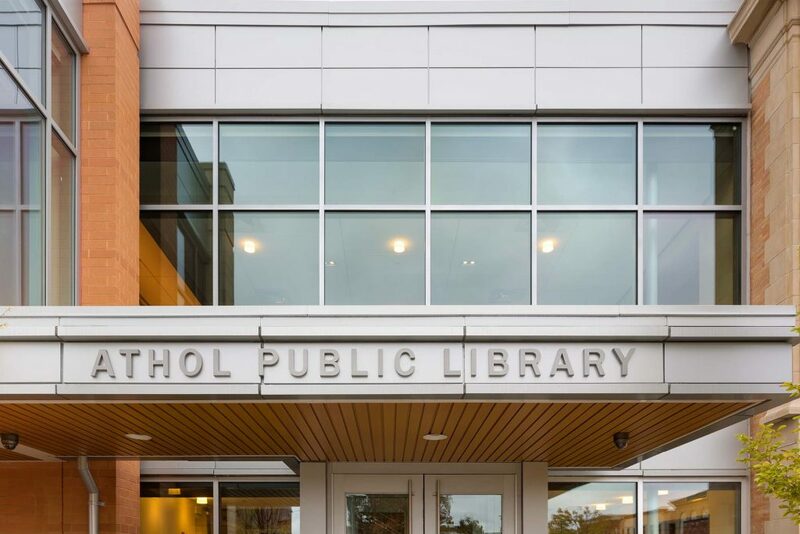 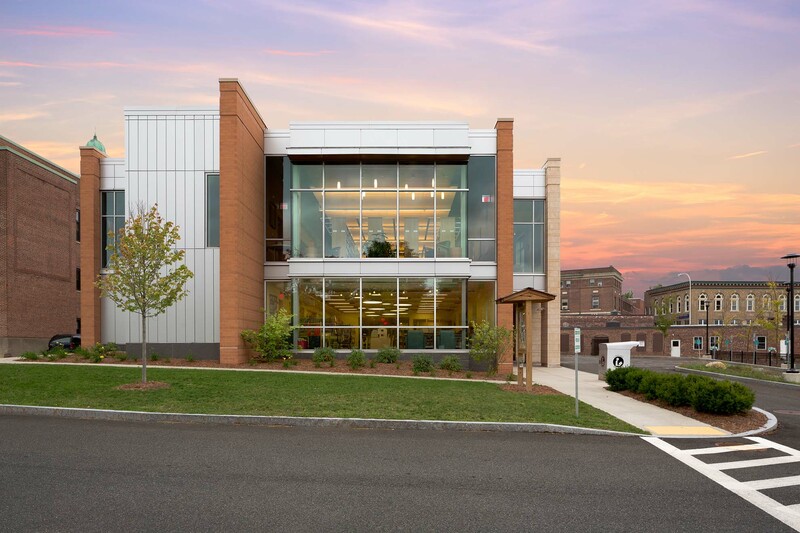 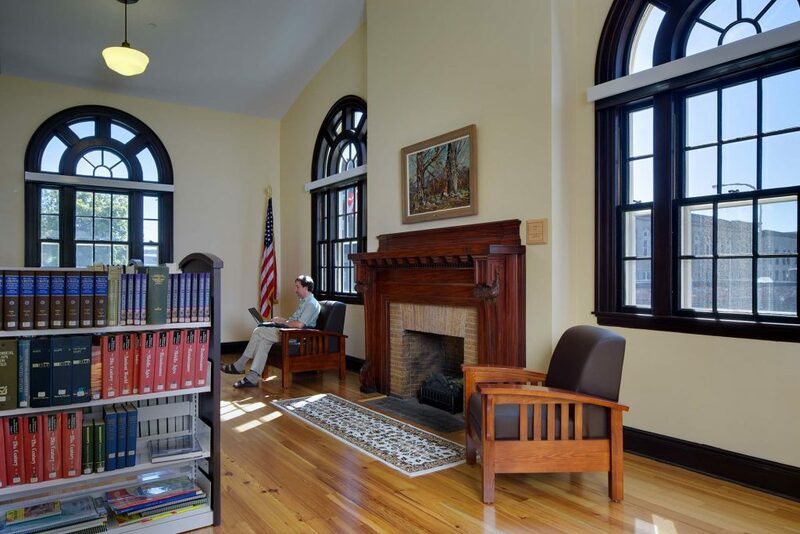 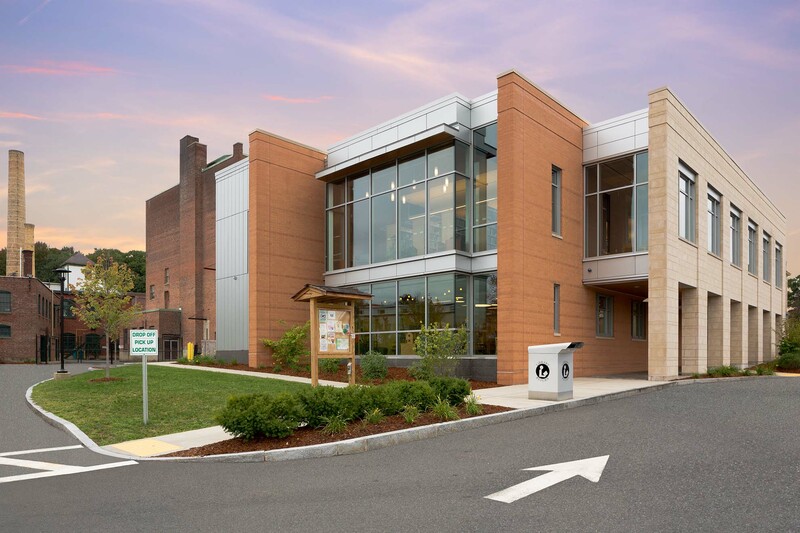 The new 20,000 sqft Athol Public Library expands the existing 1918 Carnegie to allow for expanded and enhanced library services and creating a new cornerstone along the Town’s Main Street in downtown Athol, Massachusetts. 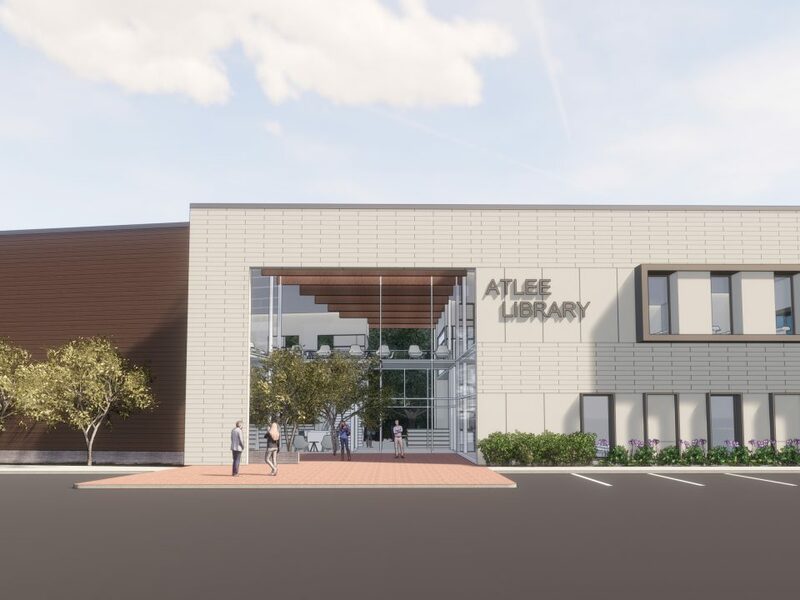 The new addition makes a strong yet respectful architectural gesture to the adjacent Miller’s River – a major part of Athol heritage. 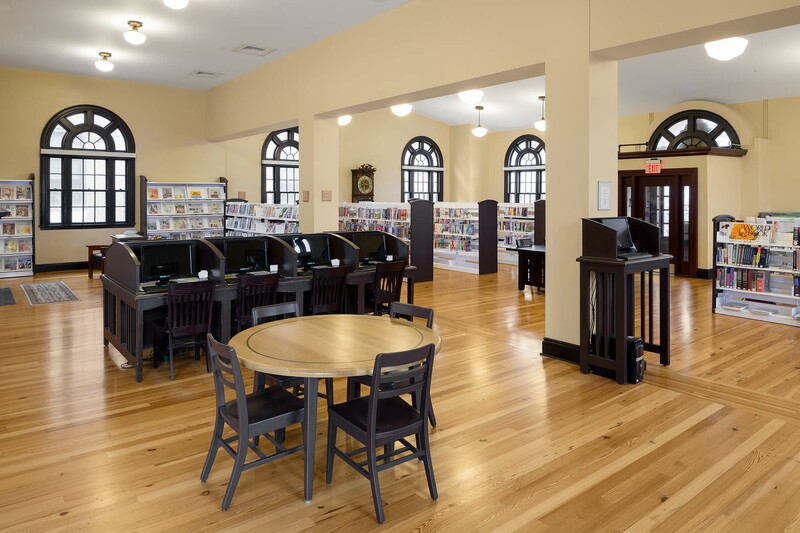 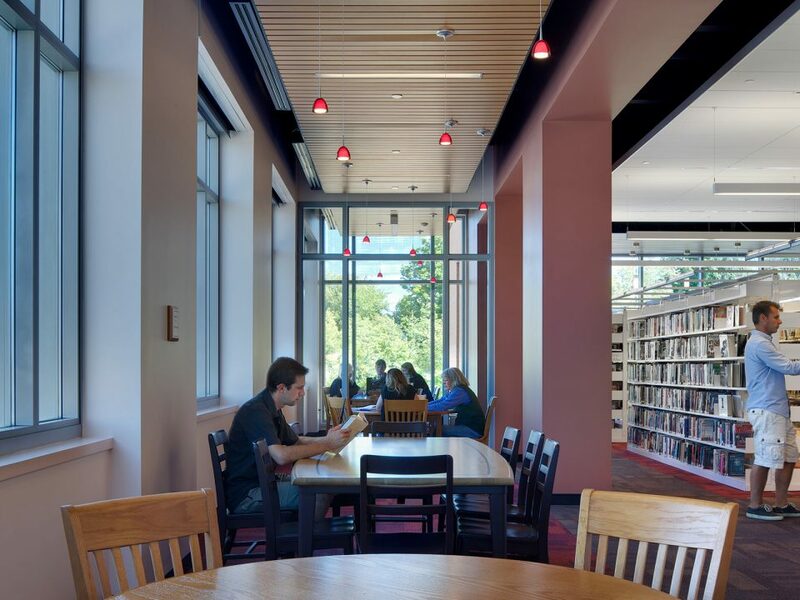 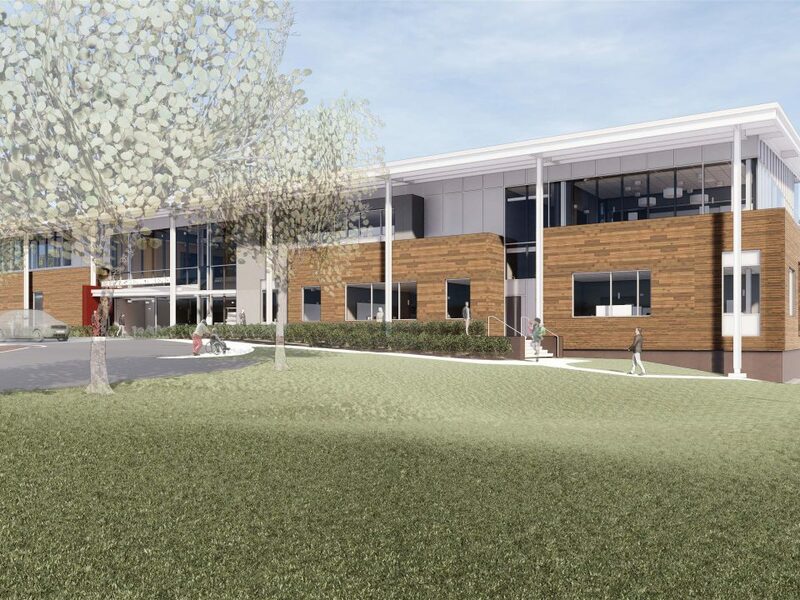 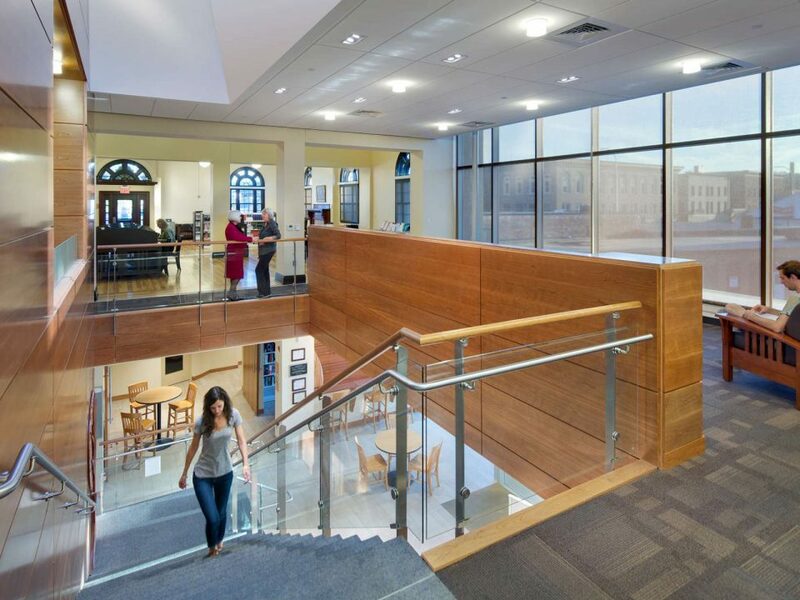 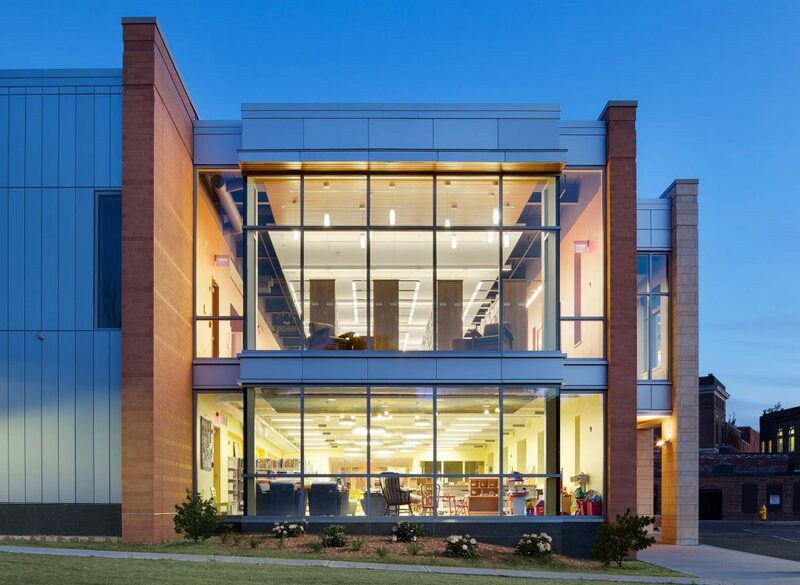 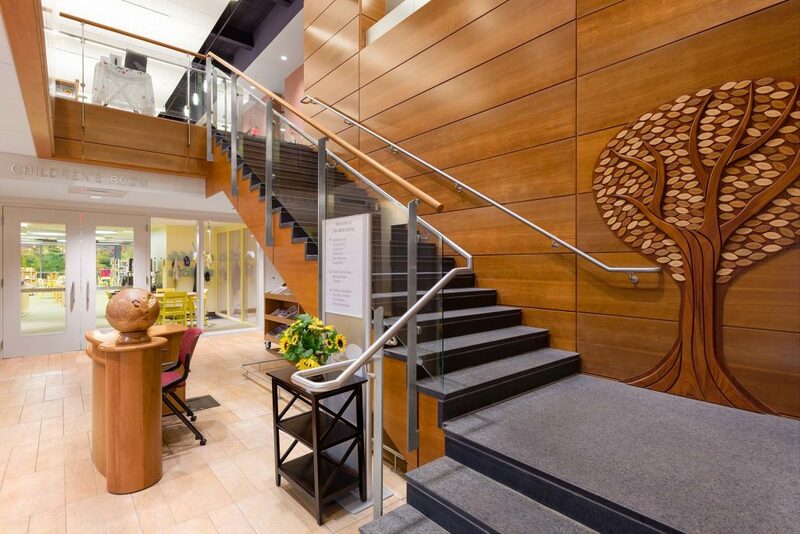 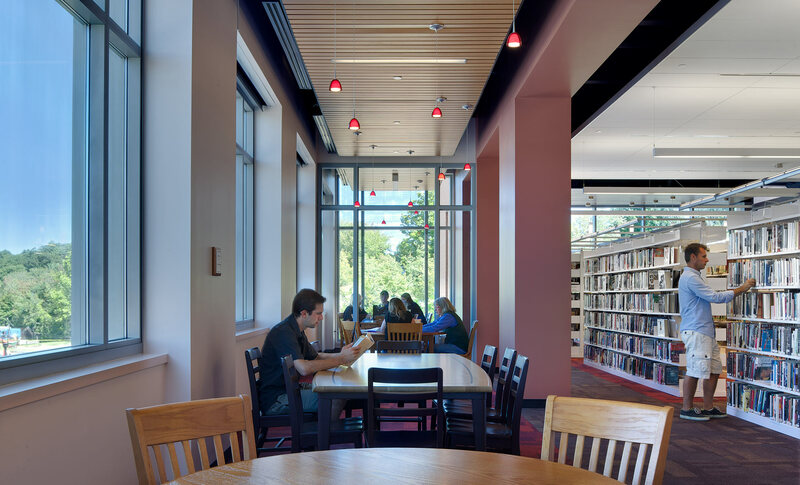 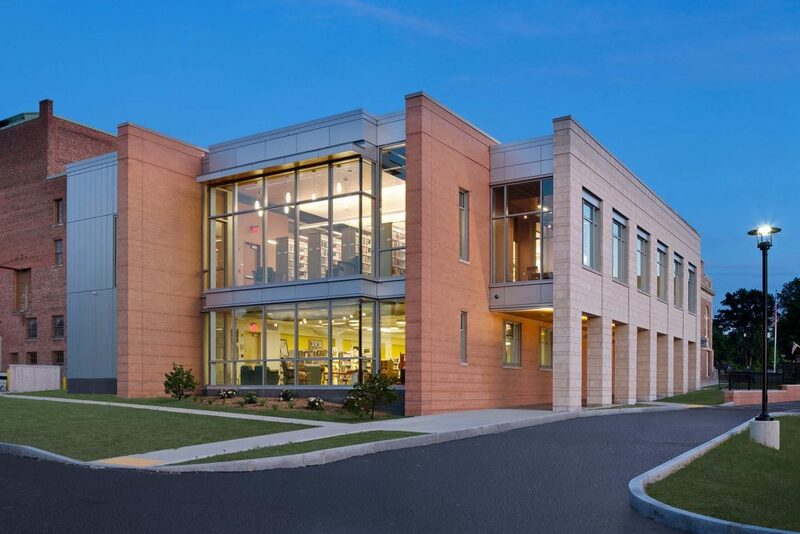 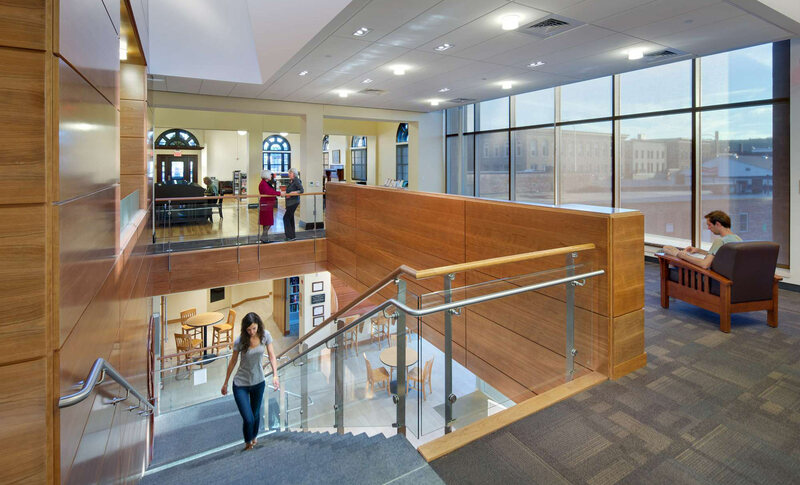 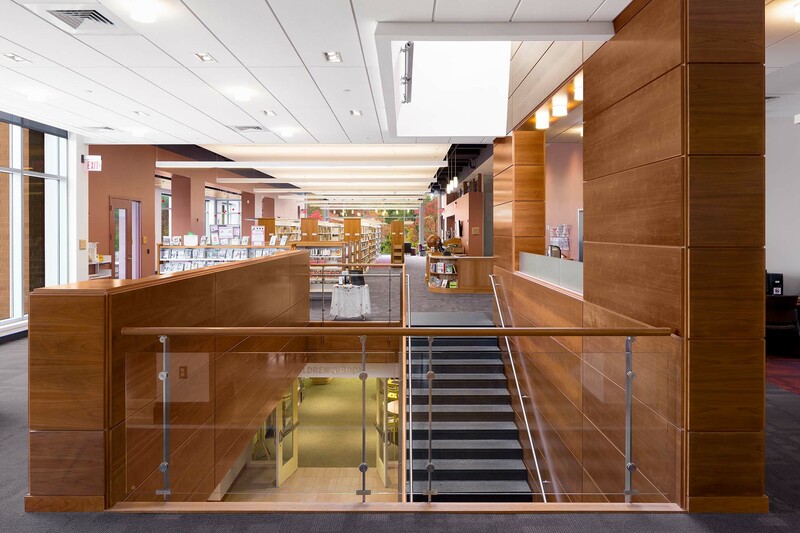 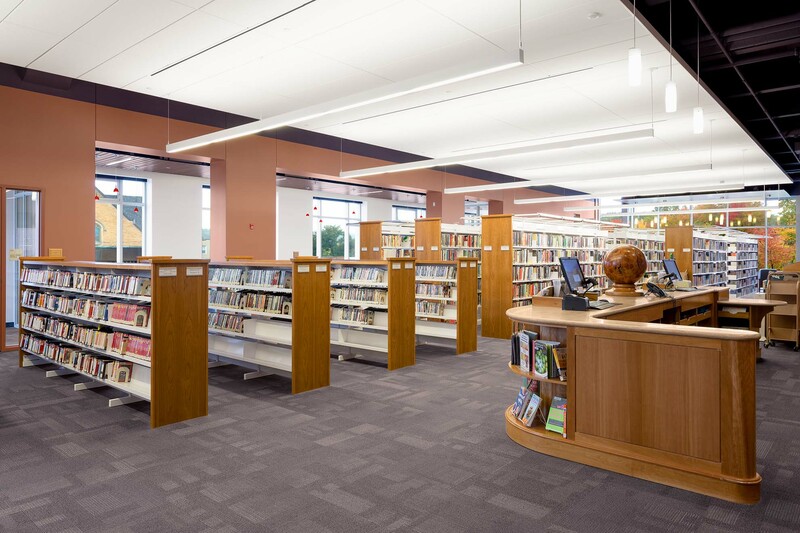 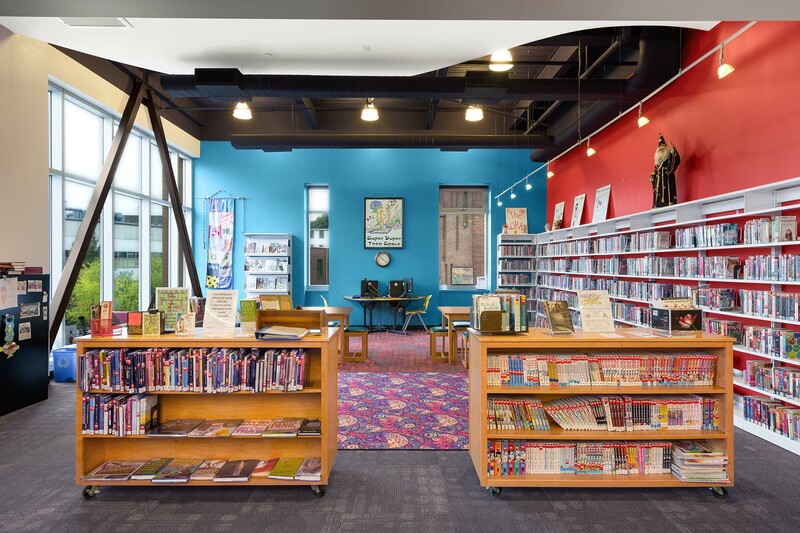 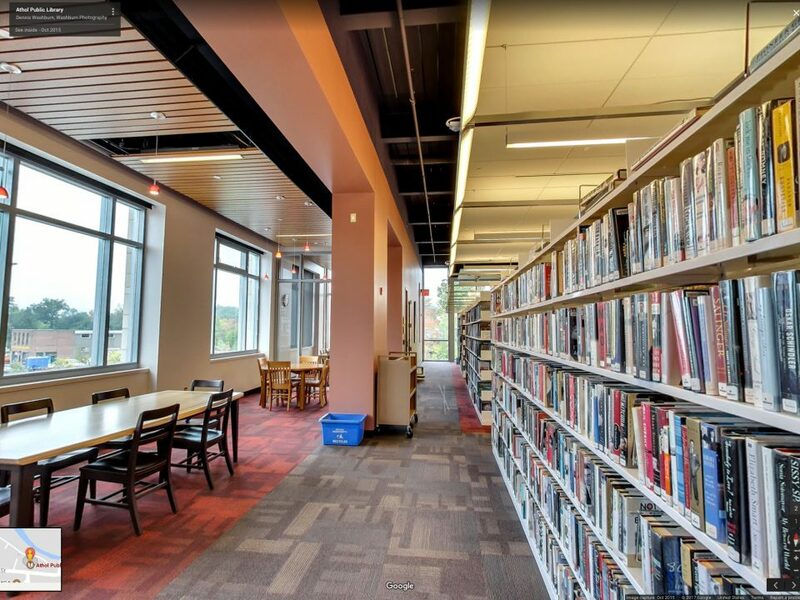 The addition includes expanded Children’s and Adult’s collections and programs, as well as various small group and quiet study spaces, and web-ready laptop bars located within the more bustling linkage between the old and new parts of the library. 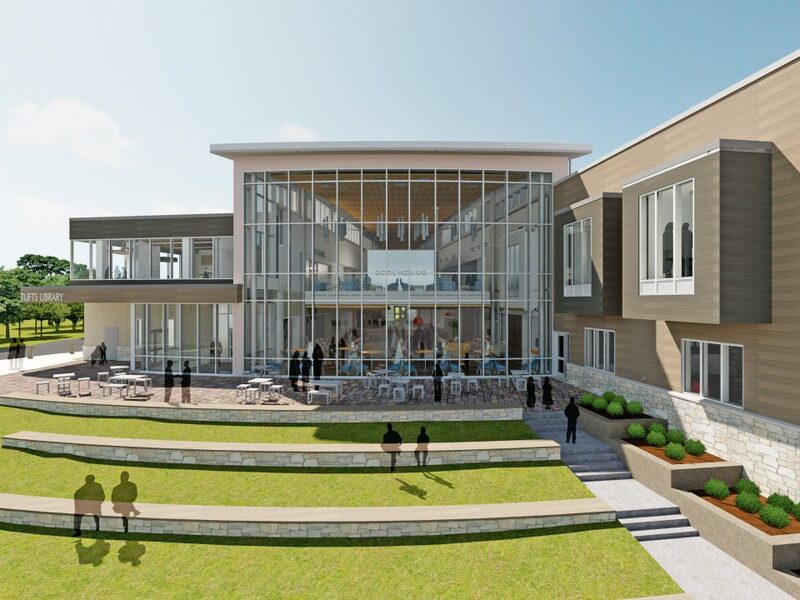 The addition is also is the flagship project and keystone of the Miller’s Riverwalk initiative through a colonnade at ground level that behaves as a buffer from parking.